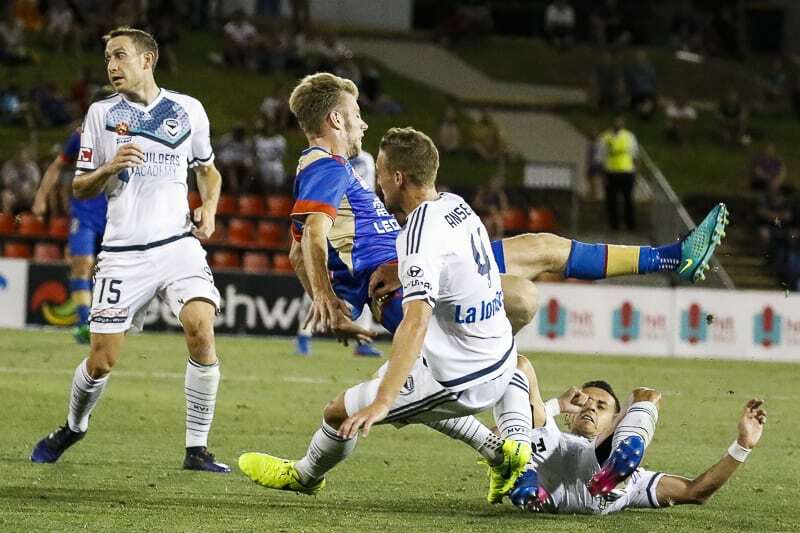 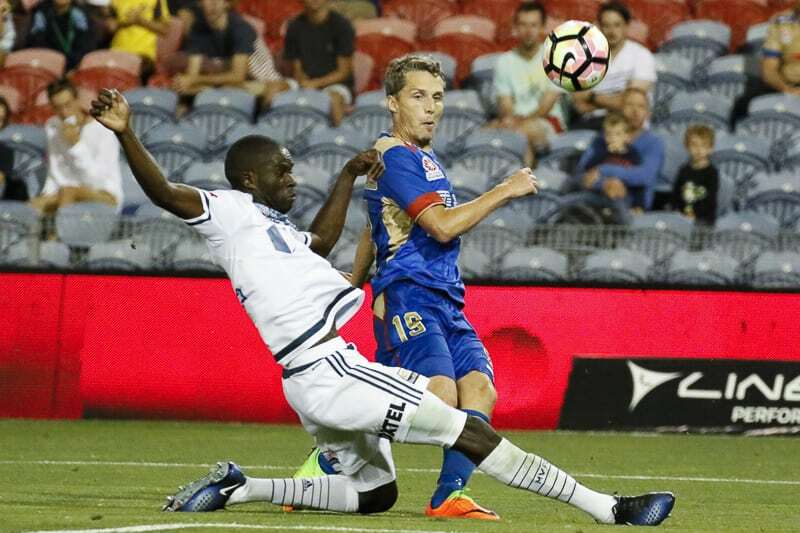 The Jets Andrew Hoole hits the ground against Melbourne Victory in their nil-all game at McDonald Jones Stadium, Newcastle on Monday the 13th of February, 2017. 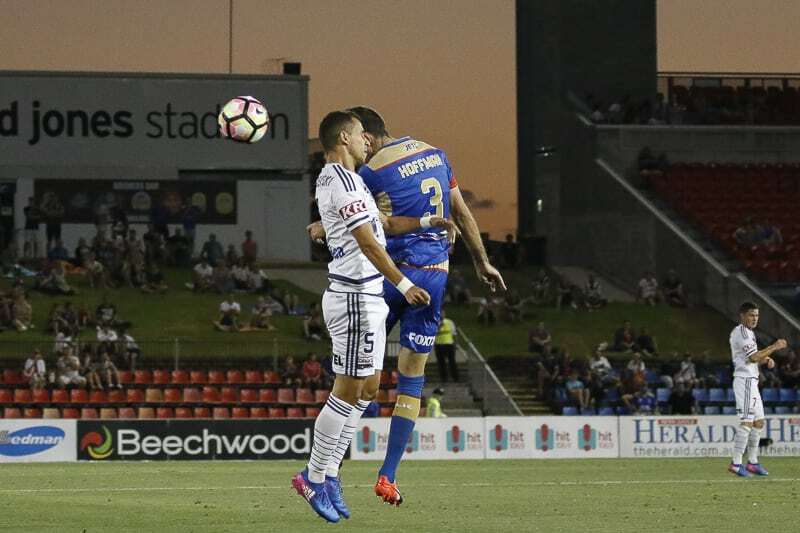 Jets Jason Hoffman competes with the Victory's Daniel Georgievski in their nil-all game at McDonald Jones Stadium, Newcastle on Monday the 13th of February, 2017. 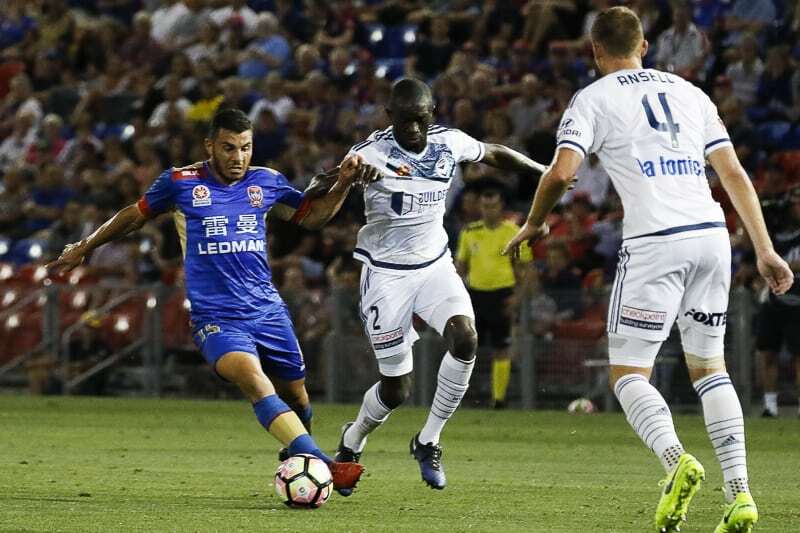 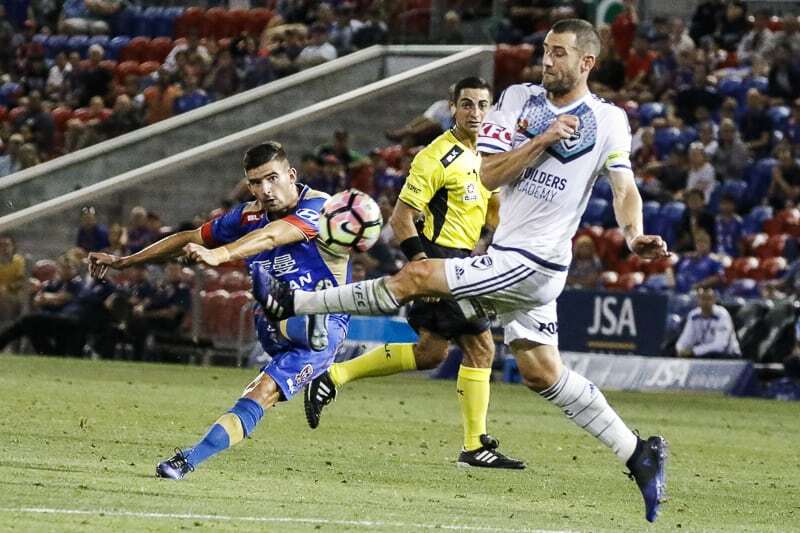 Newcastle Jets' Andrew Nabbout competes with Jason Geria in their nil-all game at McDonald Jones Stadium, Newcastle on Monday the 13th of February, 2017. 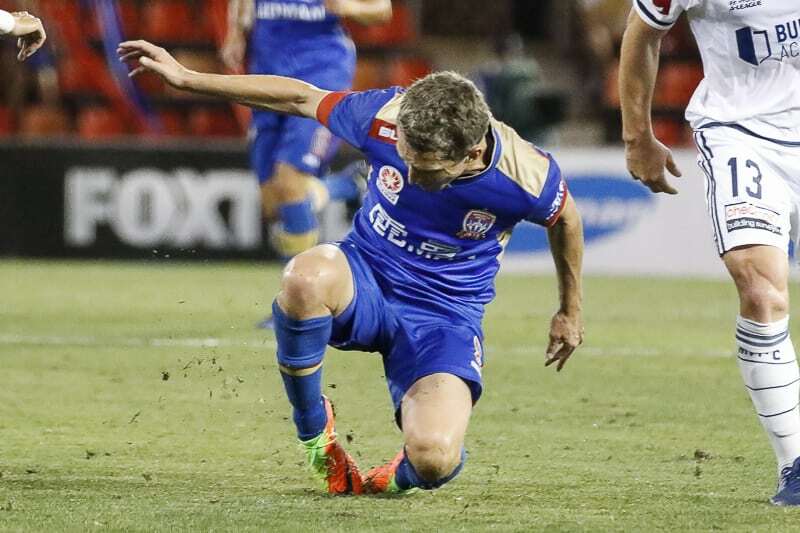 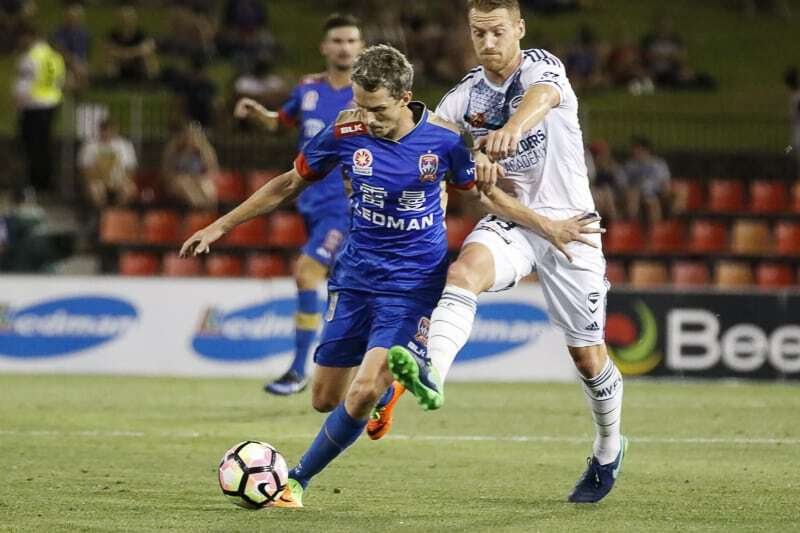 The Jets' Morten Nordstand struggles against Victory's Oliver Bozanic in their nil-all game at McDonald Jones Stadium, Newcastle on Monday the 13th of February, 2017. 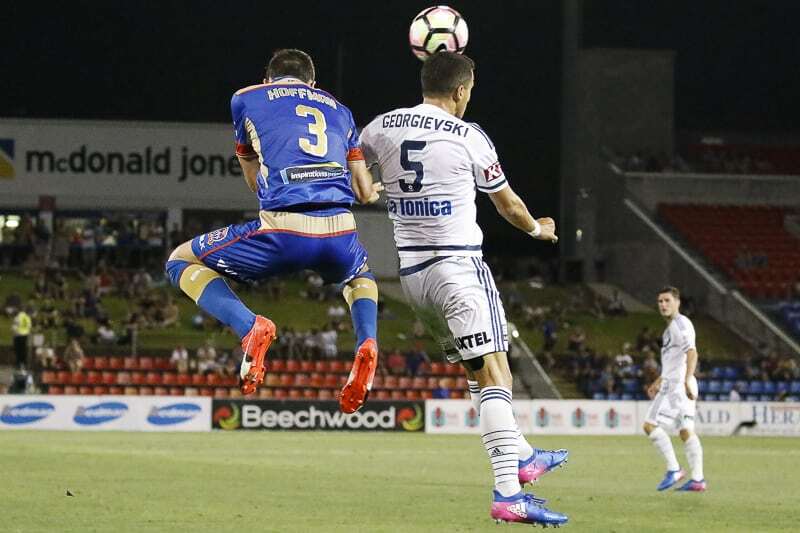 Andrew Nabbout has a close shave against goal keeper Lawrence Thomas in their nil-all game at McDonald Jones Stadium, Newcastle on Monday the 13th of February, 2017. 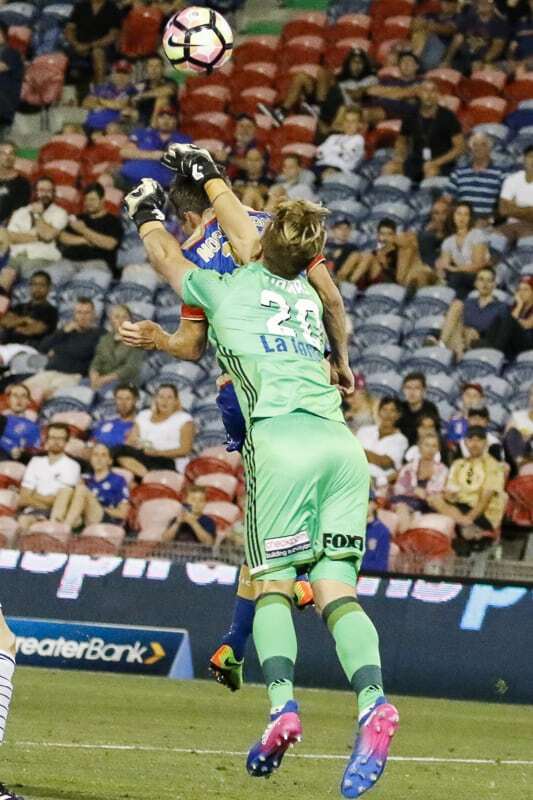 A big collision with the Jets Andrew Hoole coming into contact with Nicholas Ansell in their nil-all game at McDonald Jones Stadium, Newcastle on Monday the 13th of February, 2017. 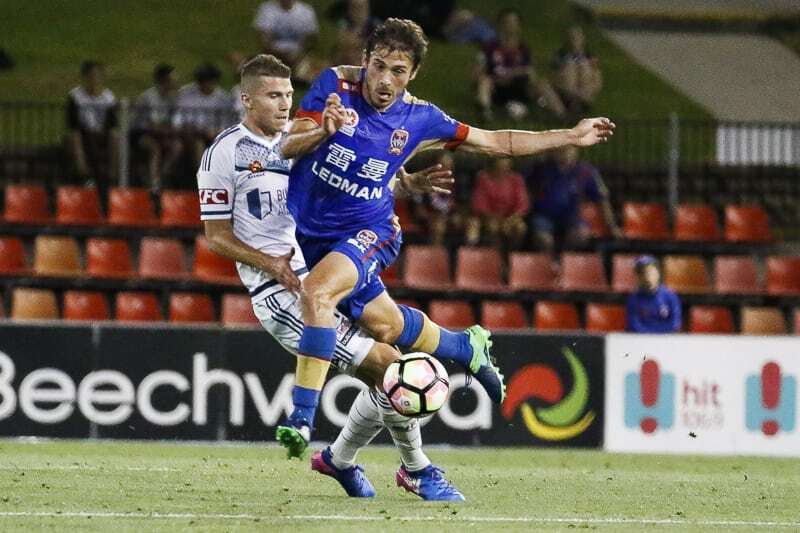 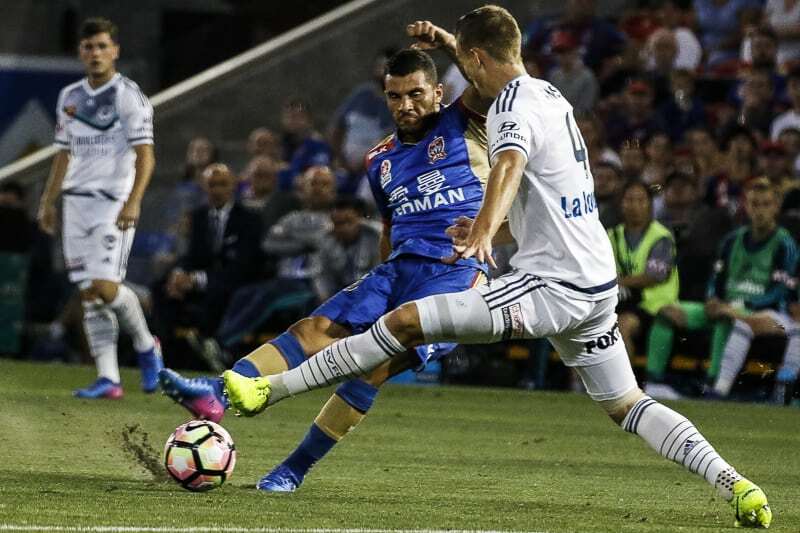 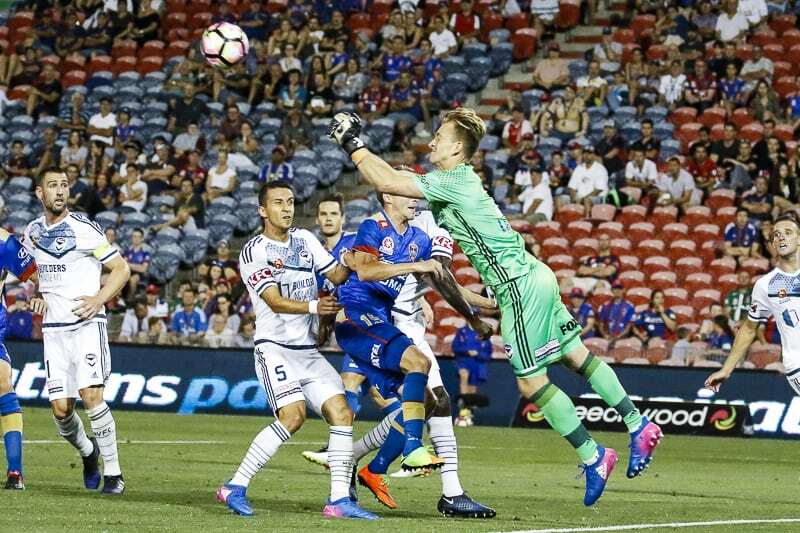 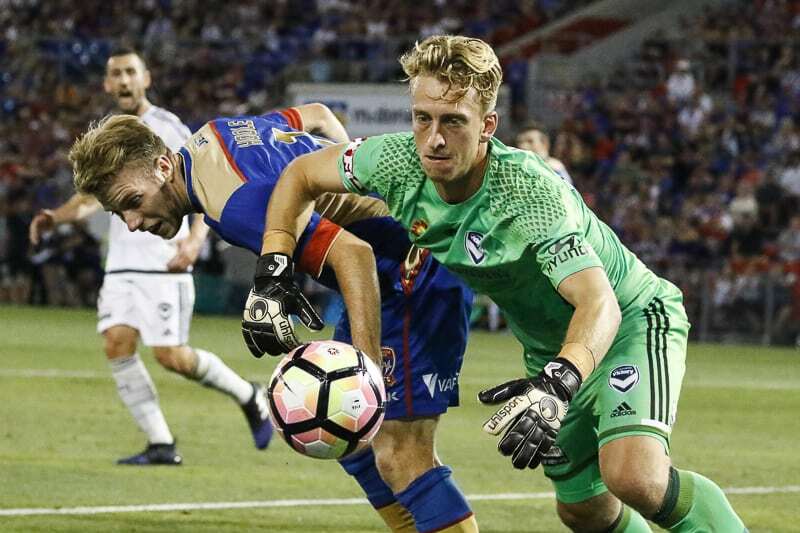 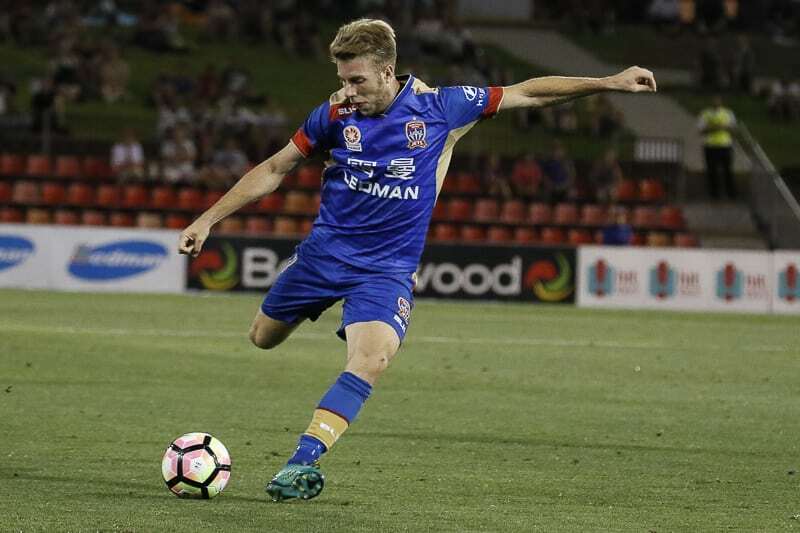 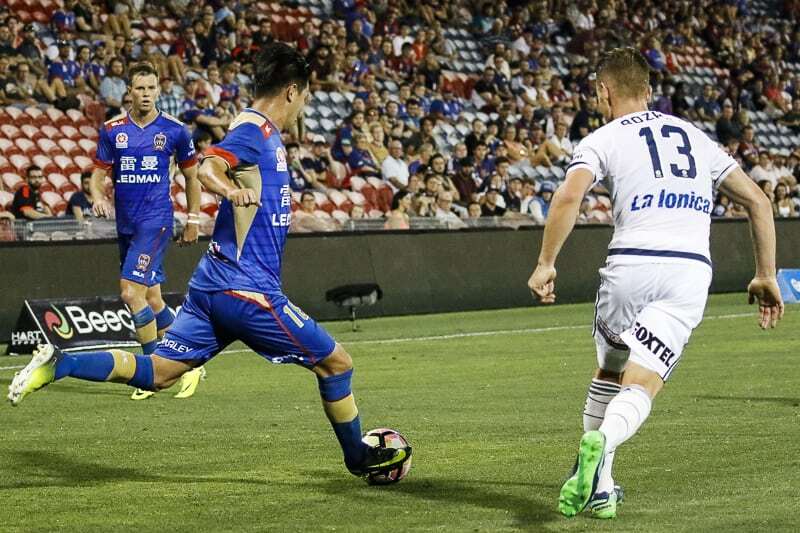 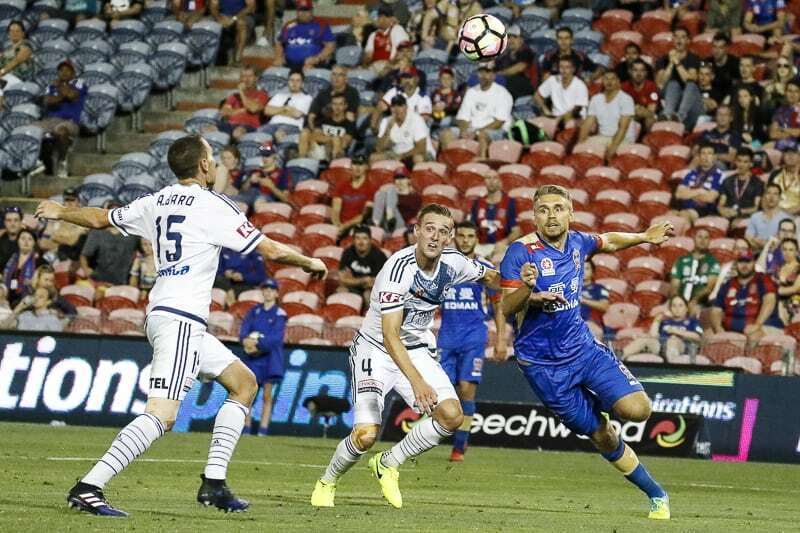 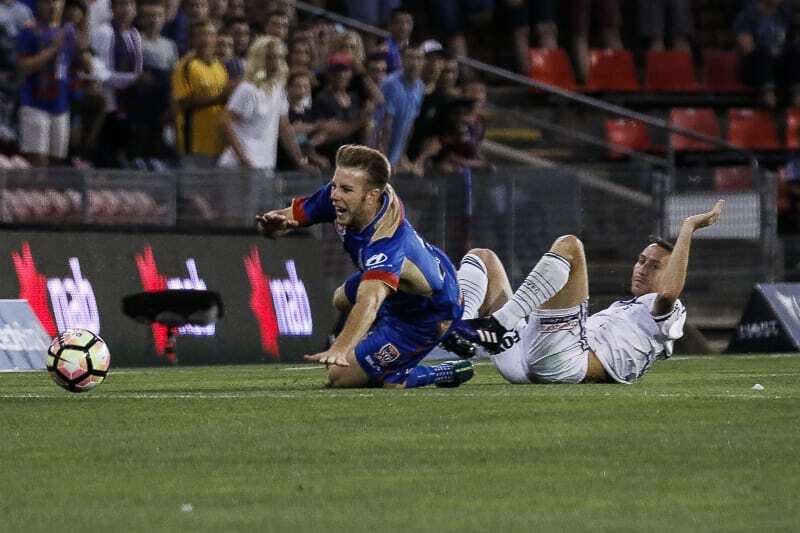 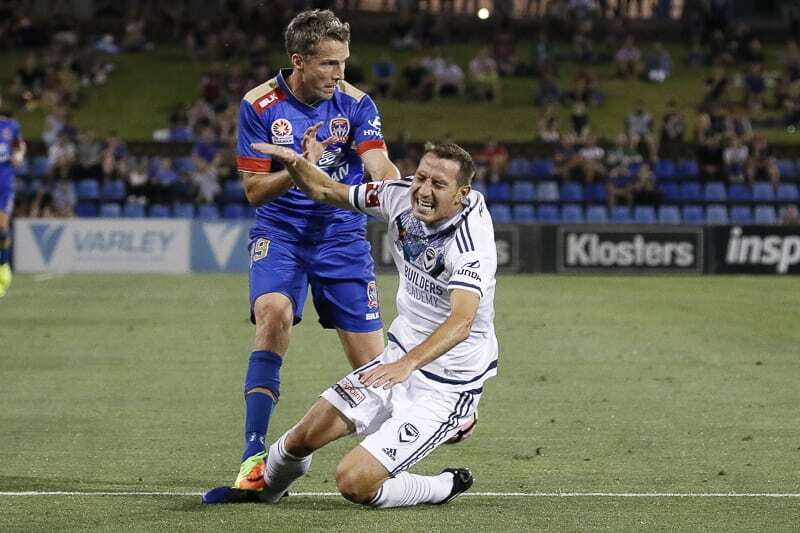 Newcastle Jets take on Melbourne Victory in their nil-all game at McDonald Jones Stadium, Newcastle on Monday the 13th of February, 2017. 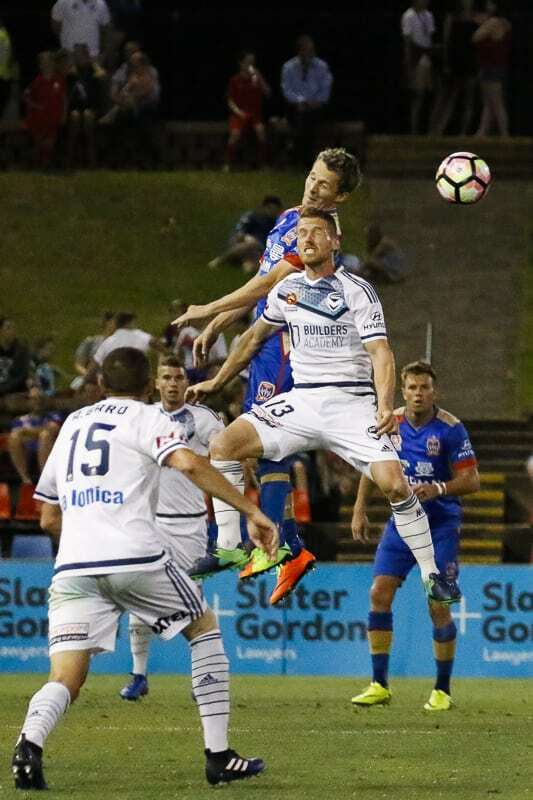 Jason Hoffman and Daniel Georgievski leap high in their nil-all game at McDonald Jones Stadium, Newcastle on Monday the 13th of February, 2017. 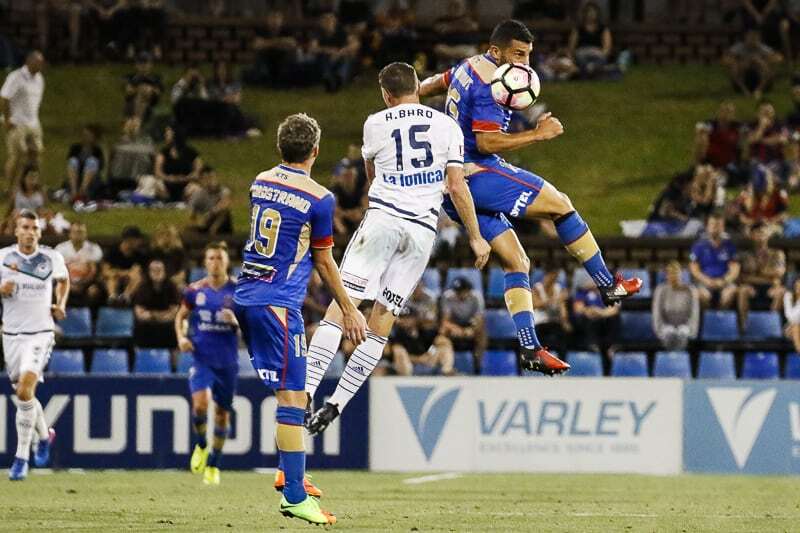 Heads up as the Jets Andrew Nabbout, Morten Nordstand and Victory's Alan Baro vie for the ball in their nil-all game at McDonald Jones Stadium, Newcastle on Monday the 13th of February, 2017. 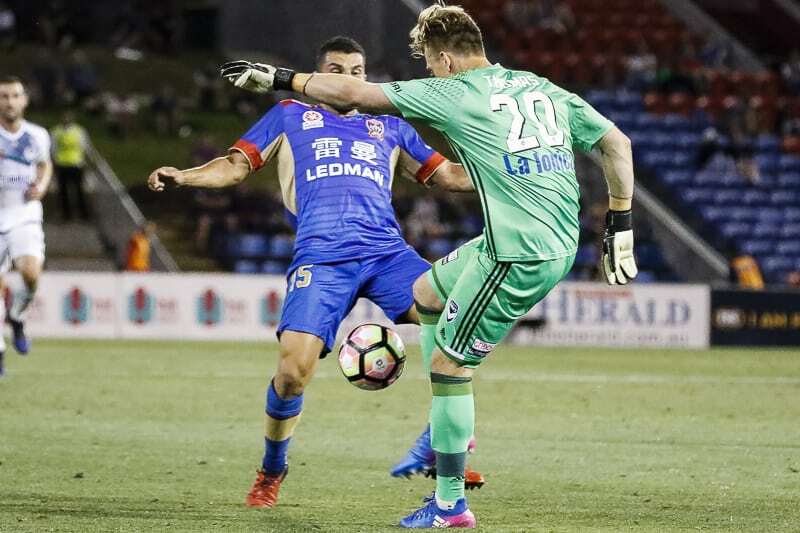 Andrew Hoole and goal keeper Lawrence Thomas have a close call in their nil-all game at McDonald Jones Stadium, Newcastle on Monday the 13th of February, 2017. 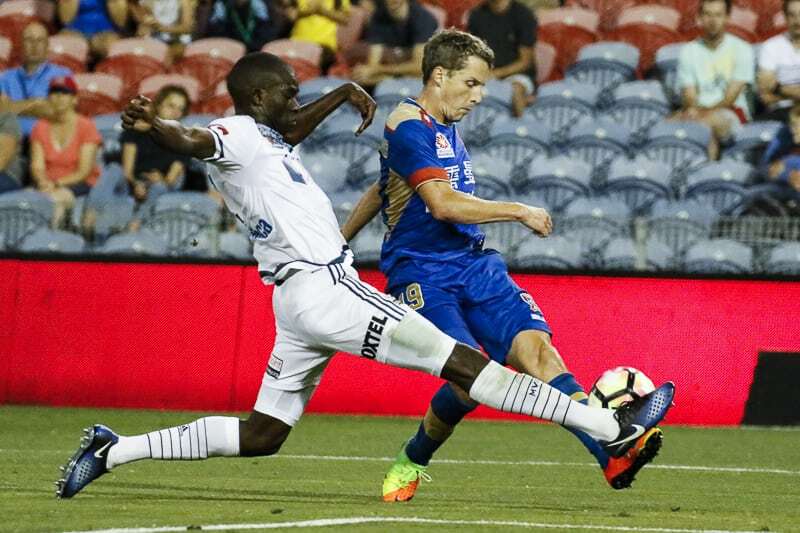 Victory goal keeper Lawrence Thomas punches away the ball against the Jets in their nil-all game at McDonald Jones Stadium, Newcastle on Monday the 13th of February, 2017. 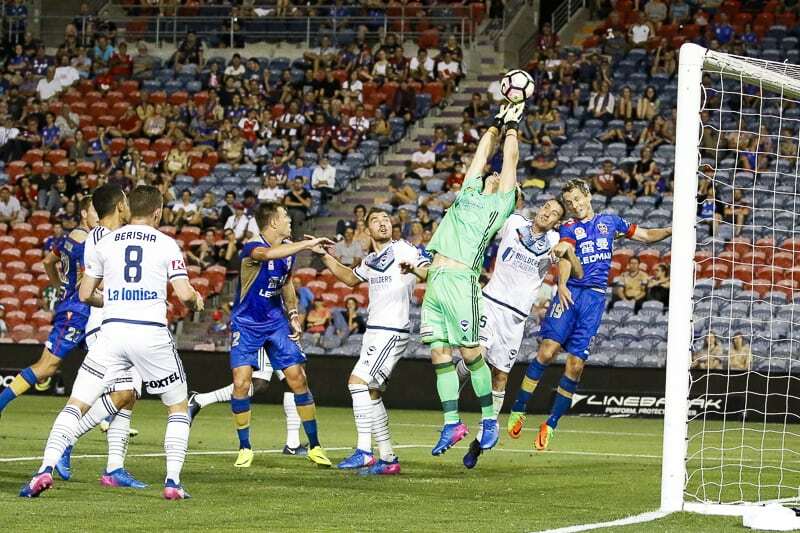 Victory's goal keeper Lawrence Thomas was kept busy against the Jets in their nil-all game at McDonald Jones Stadium, Newcastle on Monday the 13th of February, 2017. 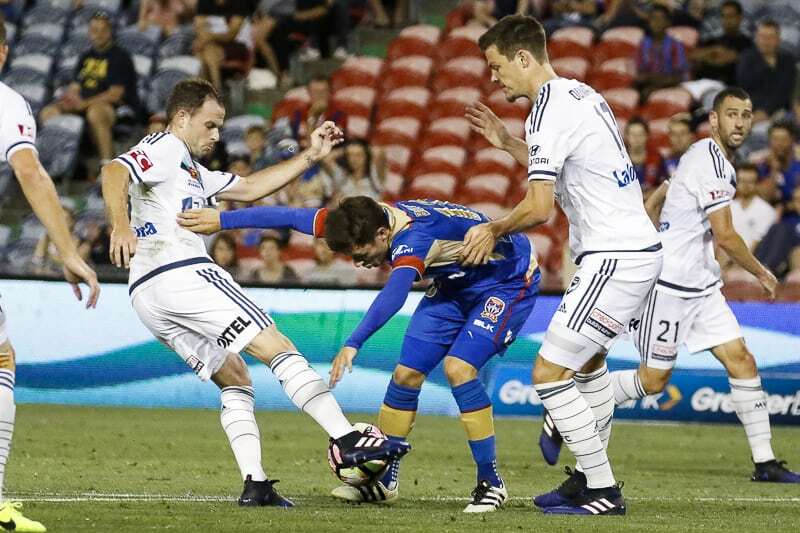 The Jets' Morten Nordstand lines up against Melbourne Victory in their nil-all game at McDonald Jones Stadium, Newcastle on Monday the 13th of February, 2017. 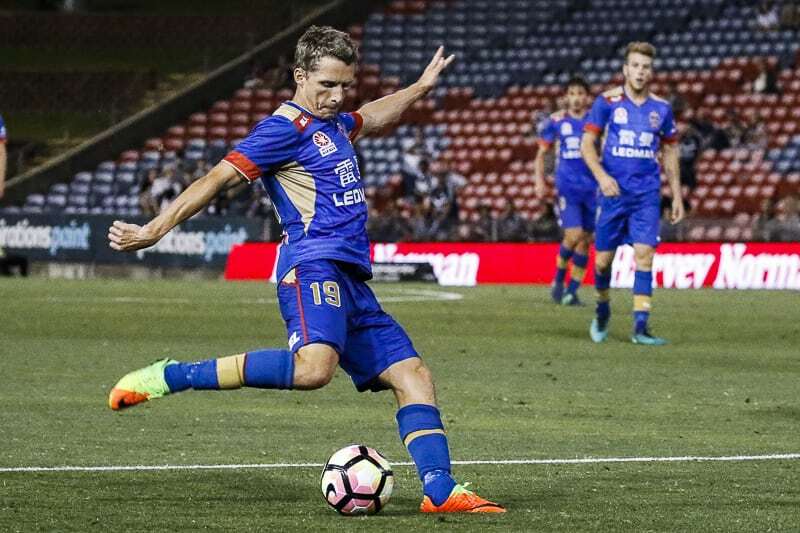 The Jets' Morten Nordstand sneaks past Victory's Jason Geria in their nil-all game at McDonald Jones Stadium, Newcastle on Monday the 13th of February, 2017. 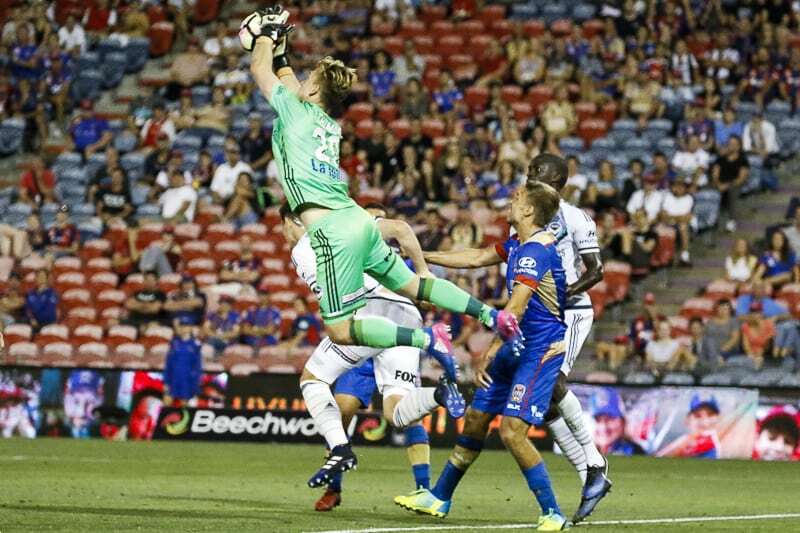 Victory's goal keeper Lawrence Thomas leaps high against the Newcastle Jets in their nil-all game at McDonald Jones Stadium, Newcastle on Monday the 13th of February, 2017.